A Tiffany's Inspired Bridal shower for my lil sis! This Tiffany's inspired bridal shower was so fun to design....of course I am a little biased since it was for my little sis. From the moment she got engaged she knew that Tiffany blue was going to be her color. 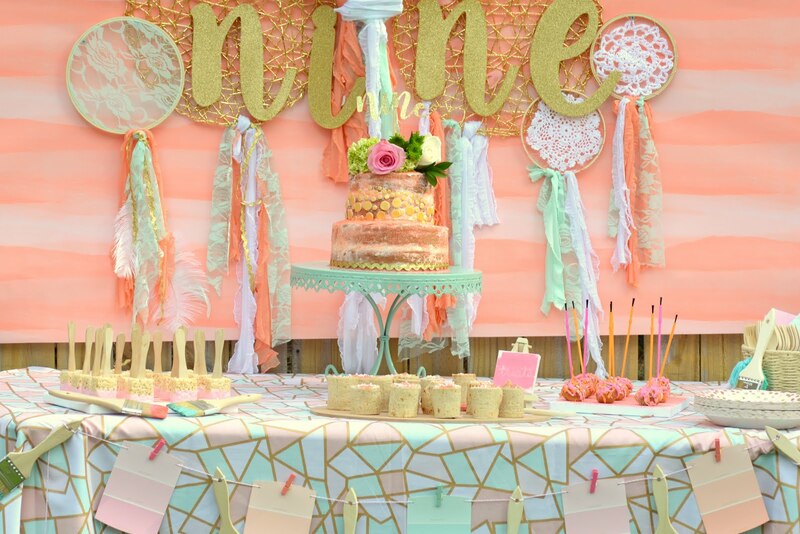 So what better way to design her bridal shower than with the Tiffany theme. For decor I used gift bags found at my local Hobby Lobby, filled them with tissue paper and designed a tag with her monogram on it. I used pearls on a string ( found in the ribbon section of mu local Hobby Lobby) to add a little glitz and glam to the bags. I am fortunate that my sister has amazing taste and just happened to have some gorgeous candle holders at her house. These oversized large white candle holders were just perfect for the table tops. Using Tiffany blue and black as my color scheme I made tissue paper pom pom's one of my favorite ways to design on a dime. They are visually eye catching, look great above a table or hanging in the center of a room. 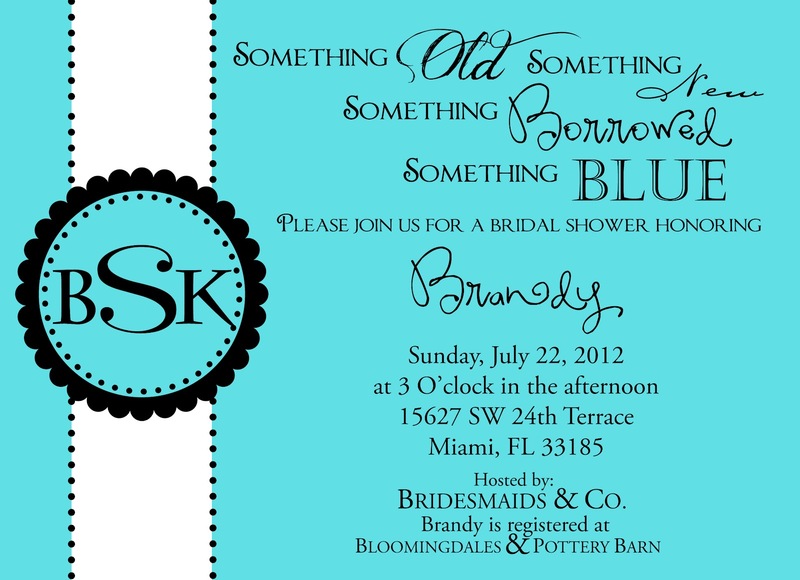 And since I was planning this shower from Tallahassee, they traveled very well all the way down to Miami. The secret is to create them by folding the tissue paper like a fan. tie your ribbon on and cut the edges. Leave them unfluffed till the day of your party this will keep them in tip top party shape. 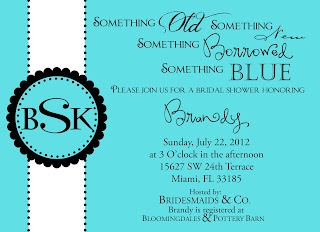 Something Old, Something New, Something Borrowed, Something Blue....You can find these adorable invites in my shop I printed them using www.mpix.com. 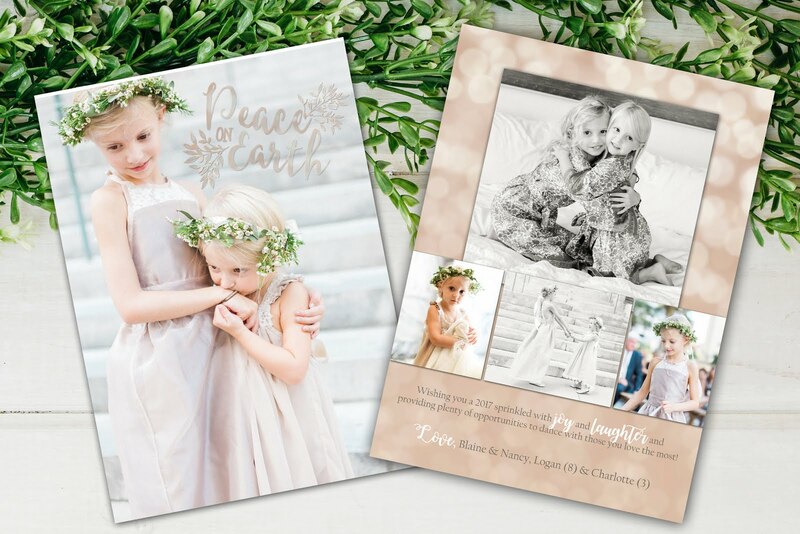 They offer pearl cardstock that is printed doublesided...it is out of this world gorgeous. They come with envelopes and also offer rounded corners for the boutique look. I just can't say enough for their quality and customer service! The cake was absolutely gorgeous. My lil sis's mother in law to be created this masterpiece....it was perfect for our theme! A signature drink is a must at shower these days...ours was simple yet tasted amazing! It was the perfect color and was amazingly simple to create! The centerpiece did double duty, it was 3 boxes ( found at where else....Hobby Lobby) Painted and then wrapped with white satin ribbon. The top box was left open to allow for a shallow vase of white roses...and carnations to peek out the top. This will also serve as her card box at the wedding. We just cut a slot into the bottom box so guests can slide their well wishes inside. By this point in our lives we have played every shower game known to the party world so I decided to create something a little different. 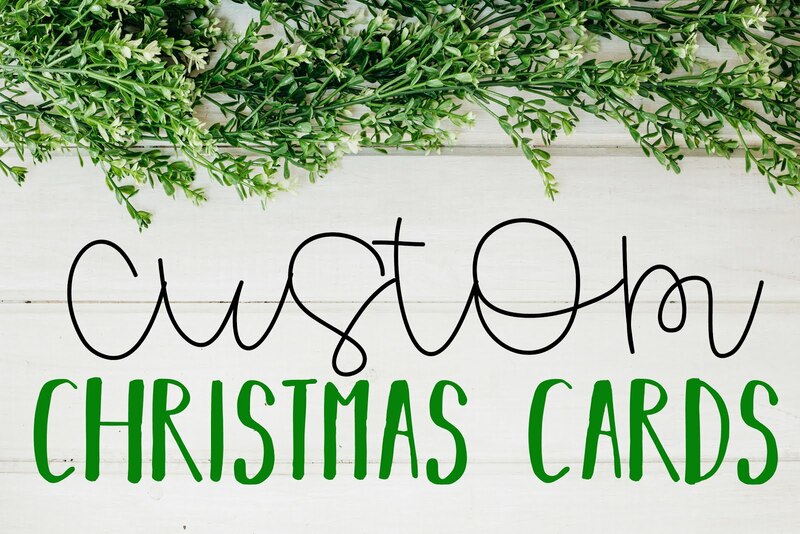 Each guest received a card with a word on it. They had to think up a date that the couple could have that coincided with the word....for example one word was imagine....the date might be pack a picnic lunch and head to the beach, relax and enjoy. Imagine what life might be link 10 years down the road. All of the creative dates went into their very own Mr. & Mrs. jar for them to experience on their many date nights after they are married. Who can resist the age old tradition of making a bouquet out of the ribbons from your packages....I actually still have mine that my sister made me at my shower....ahhh memories. For favors I attempted to tackle something I have never done before...hand decorated sugar cookies...I have to say they were amazing. I added a little almond flavoring to my dough and icing and they were the yummiest! Tags were created by Magic by Marcy I found directions on how to make these beautiful cookies at Sugarbelle. I had an amazing time designing this special occasion for my little sis. It was a beautiful day with beautiful people...looking forward to the big day which is right around the corner! Thanks for sharing this information with us. I am looking for lovely Los angeles wedding venues for my sister’s wedding planned in couple of months. Searched online and have found few great venues at Eventup. Will book best one in few days.